The saga that some thought would never end apparently has. The US Federal Communications Commission (FCC) has officially given its blessing to both SoftBank and Sprint on their mergers. This means that SoftBank can acquire Sprint and Sprint can purchase the wireless company Clearwire Corp. In short, SoftBank wins in the end as it grabs both companies — confusing, we know. Sprint issued a statement soon after the FCC approved the move saying that it appreciates “the forward thinking, consumer focused stance [the agency] has taken by approving the proposed transaction.” The company, Clearwire, and SoftBank, all expect the complete acquisitions to close earlier this month. In its ruling, the FCC noted that SoftBank’s investment in the US markets was different from other wireless provider transactions, where two domestic competitors “with overlapping service areas or spectrum holdings are seeking approval to merge, thereby eliminating an existing competitor.” The ruling body explain that since SoftBank doesn’t have any “attributable interests” in any of the US’s spectrum licenses, it is seeking approval to use approximately $16.64 billion to purchase shares in Sprint and offer an additional $5 billion to invest in the telecommunication company’s network and provide wireless broadband service. This whole ordeal started late last year when Japanese carrier SoftBank was reported to have been in talks to purchase two-thirds of Sprint for $12.8 billion. Soon after, Dish Networks entered the fray and offered a competing offer, setting off a bit of a tiff between Dish and SoftBank — the former saying that national security would be at risk if Sprint was owned by a foreign company. However, Dish’s efforts seemed to be for naught as the SoftBank-Sprint deal cleared all state regulatory reviews. What’s more, SoftBank, seeking to assuage Congressional fears that Dish’s claims were valid, conceded to create a national security committee, where each member would be approved by the US government. One of these individuals would be a security director and sit on the new Sprint board — we now know that to be retired Admiral Mike Mullen. 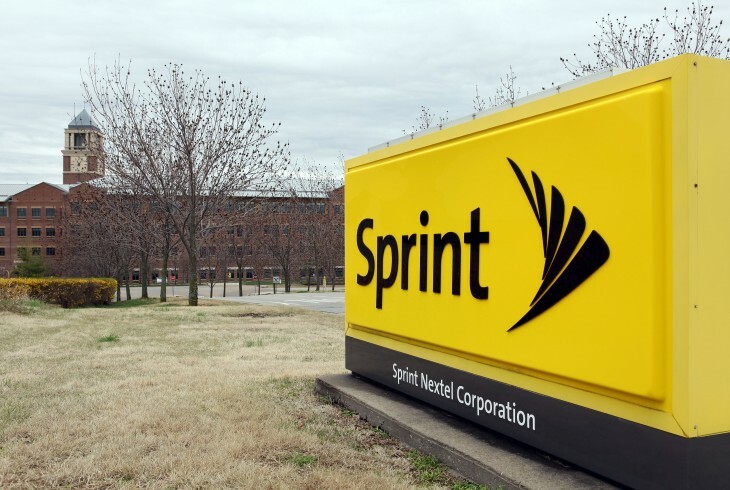 Last month, Sprint shareholders approved the acquisition with 98 percent of votes cast in favor of the deal. Bumped out of the running to acquire Sprint, Dish instead went after Clearwire, but was unsuccessful in its attempts. Now that the new Sprint owns Clearwire, under the terms of its agreement with the US government, the company must remove Huawei technology from its services — the US feels that Huawei is a bit too comfortable with the Chinese government, potentially leading to some national security concerns. Today’s decision has been called by the FCC as a “good day for all Americans who use mobile broadband services.” Acting chairwoman Mignon Clyburn released a statement afterwards saying that with the deal, she believes it will help grow the deployment of mobile broadband services while also enhancing competition in the mobile marketplace.